To edit a book means starting from the manuscript and giving it shape until you get that object that we all know: a book with its cover, its pages... Before getting there, there is a long way in which different professionals are involved. If you are thinking of editing a book we will tell you everything you need to know so you can see the light as you have always imagined. Having the support of a specialized editorial team that takes care of every detail is an indispensable starting point. In Bubok, in addition to putting your book in the hands of the best professionals to give it shape, we will also help you to promote and distribute it so that it is available to your readers. You will participate in each stage and your opinions will be taken into account at all times, so that you enjoy the transformation of your manuscript. Do you want to know what happens throughout the editing process? Discover the different steps involved in editing a book. Editing is one of the most important steps when publishing a book. If the work has spelling mistakes or problems of inconsistency or style, it can cause readers rejection or transmitting a careless and unprofessional image. Editing is the ideal resource if you want your book to be reviewed with an external and critical look so that the result is as perfect as possible. A book with blank pages where there should not be any, uneven margins, off-centered paragraphs, dispare line spacing, misplaced images or any other layout errors, causes the reader to become confused or cease to have an interest in reading further. The layout takes care of the harmony between the lines and the margins, the structure of the book, the line spacing, etc. It is useless to have a book on an attractive and well-written subject, if your presentation is irregular or unprofessional. If you do not know if your layout will be the best or you prefer to focus on writing, do not hesitate to leave it into expert hands. A good cover improves the chances of selling a book, so if we put together a good design with good content we can get great results. The cover is the first thing a reader sets when she or he holds a book in her/his hands. 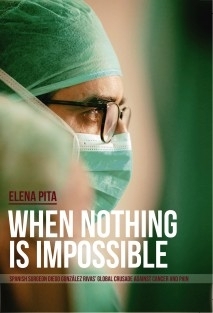 Not anything will work: the ideal is a cover that reflects both the personality of the book and the author, with a carefully designed appearence. In Bubok we will study your work and we will propose a striking design, according to the theme and your preferences, so that the result transmits what you want. The process of editing a book concludes with the previous step, but to give you output you need to have a good distribution network. As a writer you will want your book to be available in as many places as possible to make it accesible for your readers. With Bubok your ebook will be available on hundreds of digital platforms around the world so anyone can enjoy it. In addition, we have more than 800 bookstores in Spain that will be able to order your book. From Bubok, we will send it to print and we will send it quickly. It is very important to make your book known through different means. To achieve this, plan to do a previous study of the work and the audience to which it is directed,. Also take advantage of the maximum number of channels and opportunities available to promote your book, such as social networks, book presentations, events, media, blogs on publications of the same subject, etc. Since we offer you different resources to support you in the promotion: our Madrid bookstore for presentations and events, the management of a communication department, contacts with media... In addition, if you need it, you can count on one of our publishers, with more of thirty years of experience in the publishing sector, to devise a promotional strategy adapted to the needs of your book. Once again, we want to convey the importance of putting your book in the best hands. Bubok has a multidisciplinary team, with professionals in the design, publishing, book production and marketing. Your book and your goals will always be in the center and you will participate actively in the decision making, always with the support of the editorial team. You can consult with them any doubts or concerns so that the way of the edition is as simple as possible. Editing a book has never been so easy! 1. We value your work and we guide you though the editing and publishing options that best suit your needs. 2. Our team of professionals is al your disposal to turn your work into an edited and ready-to-sell book. 3. We distribute your book tohundreds of digital platforms such as Amazon, Fnac.es, Casadellibro.es and Itunes, all from Bubok. 4. We make your book available on demand in our associated libraries all over Spain and in our online platform from anywhere in the world. 5. We ease the organization of events and presentations at our bookstore in Madrid. Tell us everything you need about your book. The more, the better!